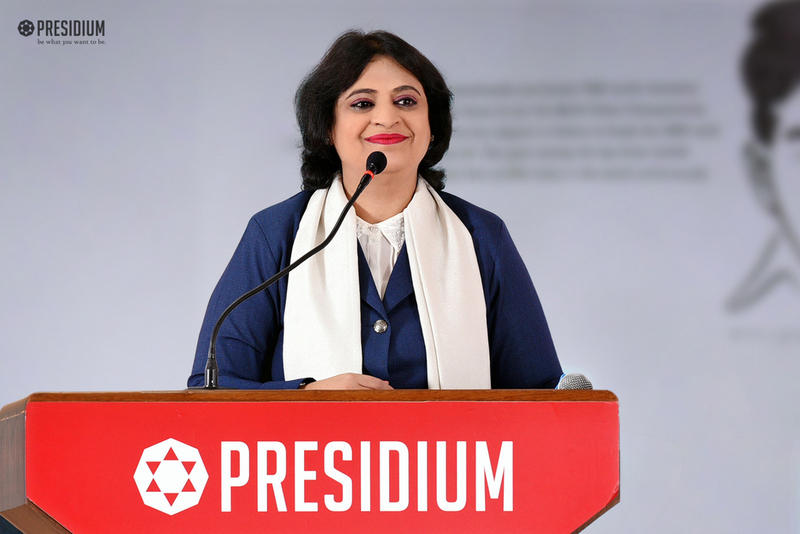 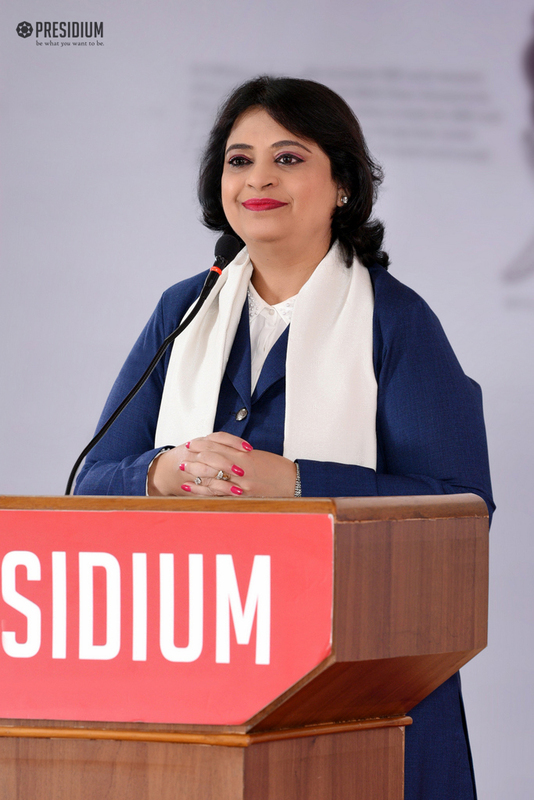 The honourable Chairperson of Presidium and Mother’s Pride is an educationist par excellence who believes in the power of ‘being’. 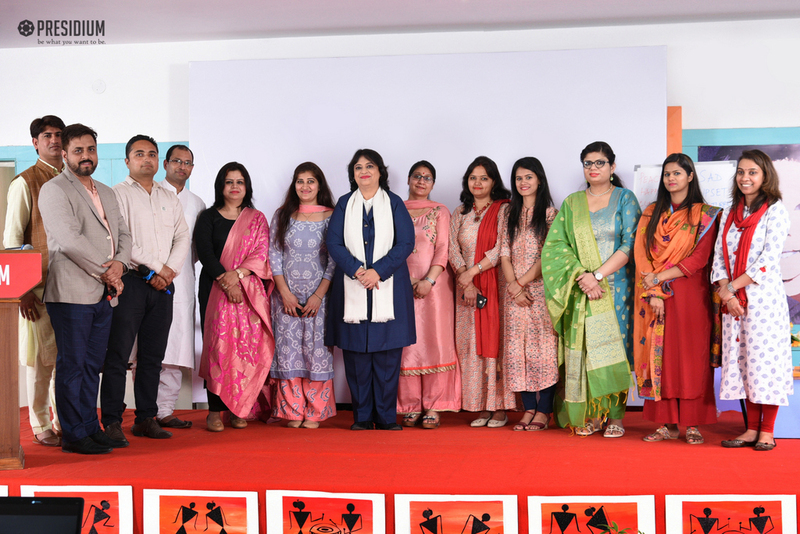 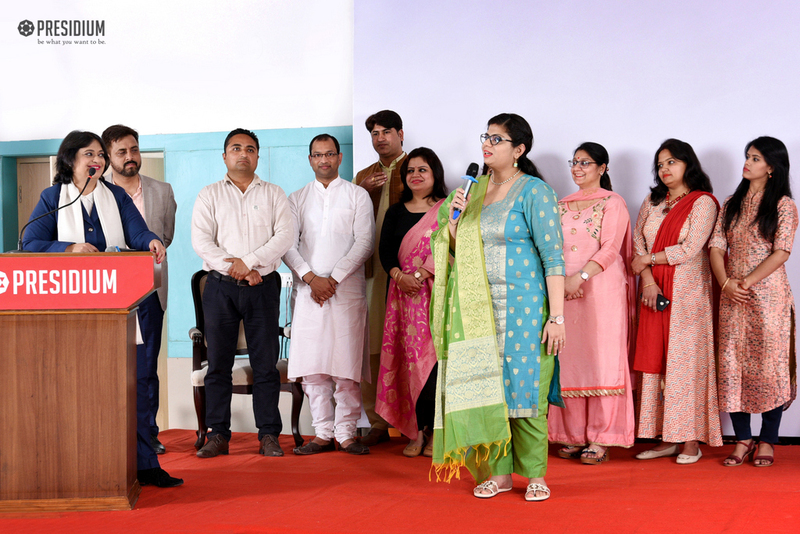 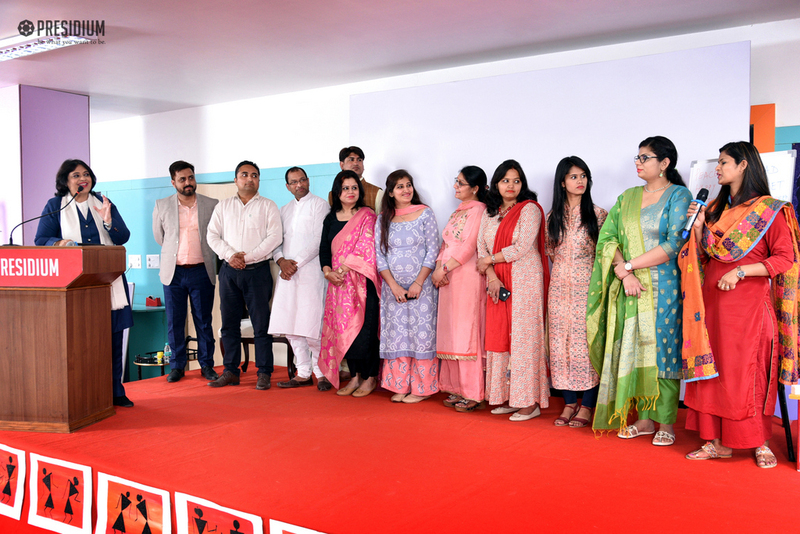 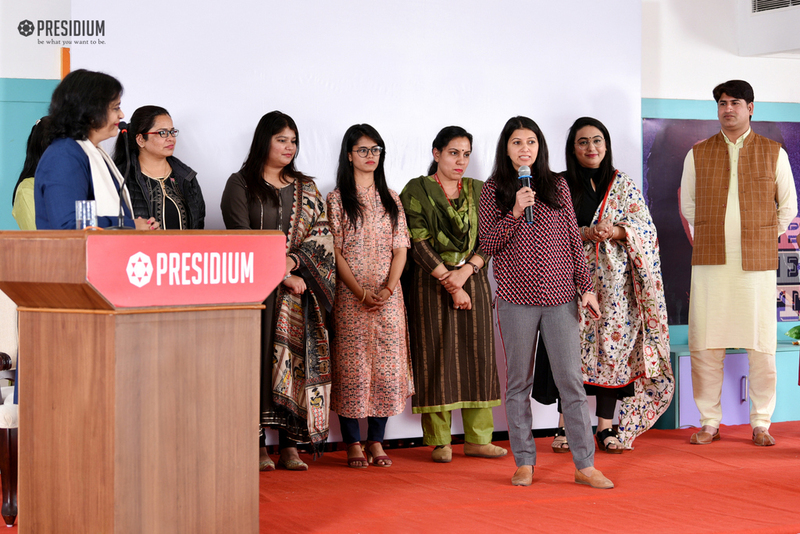 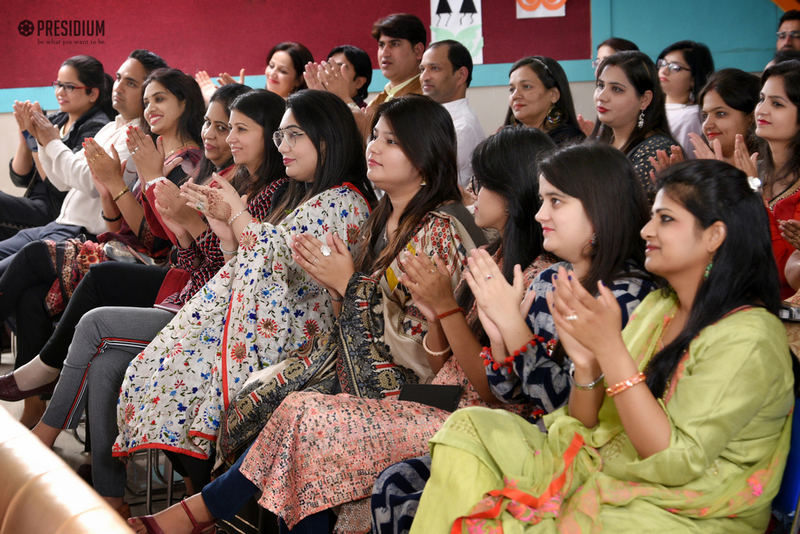 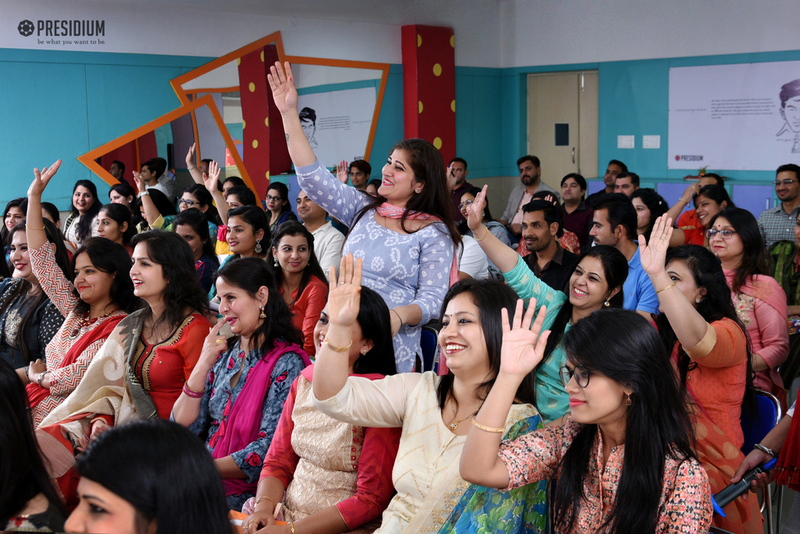 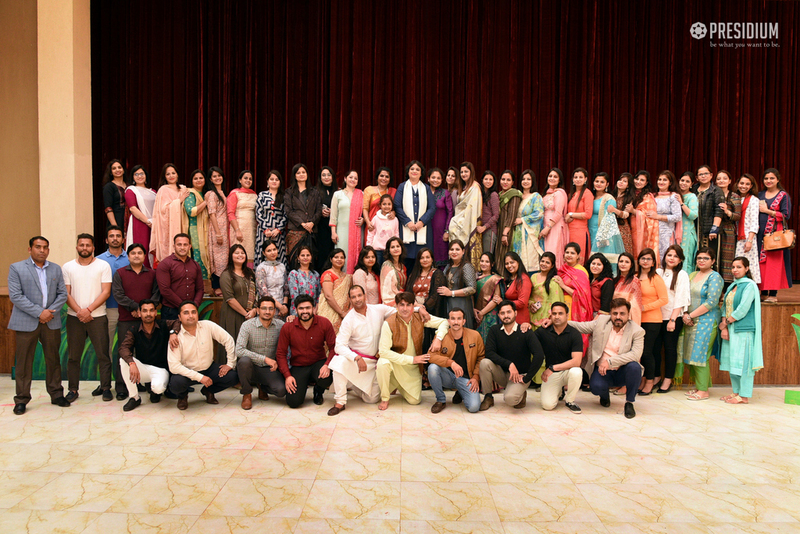 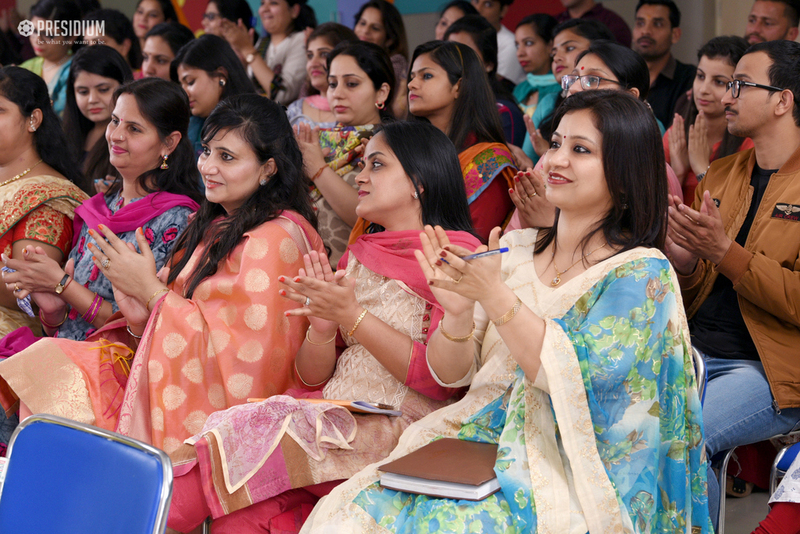 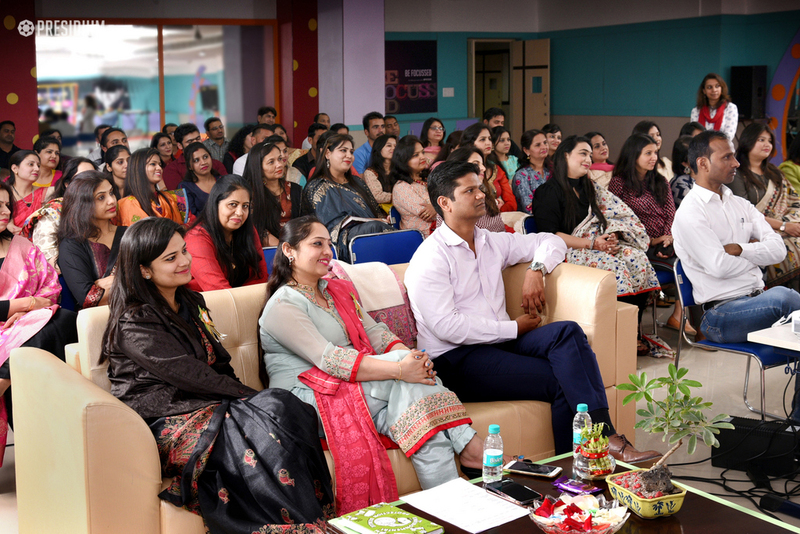 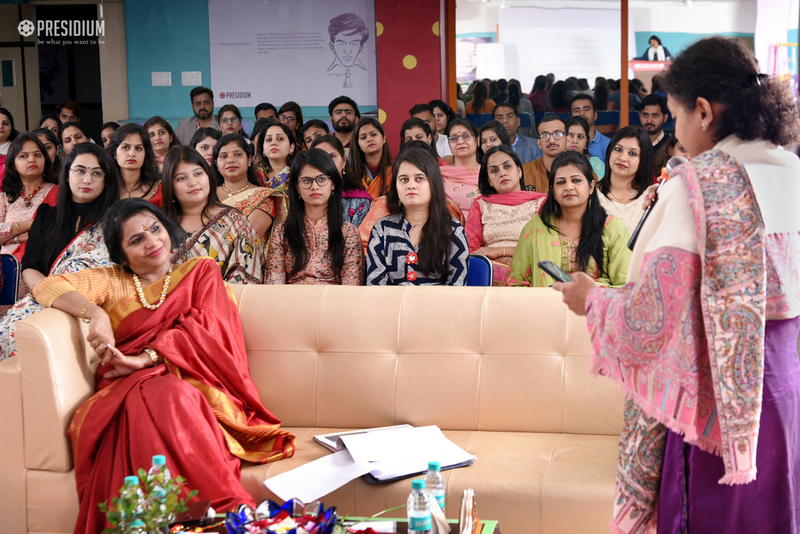 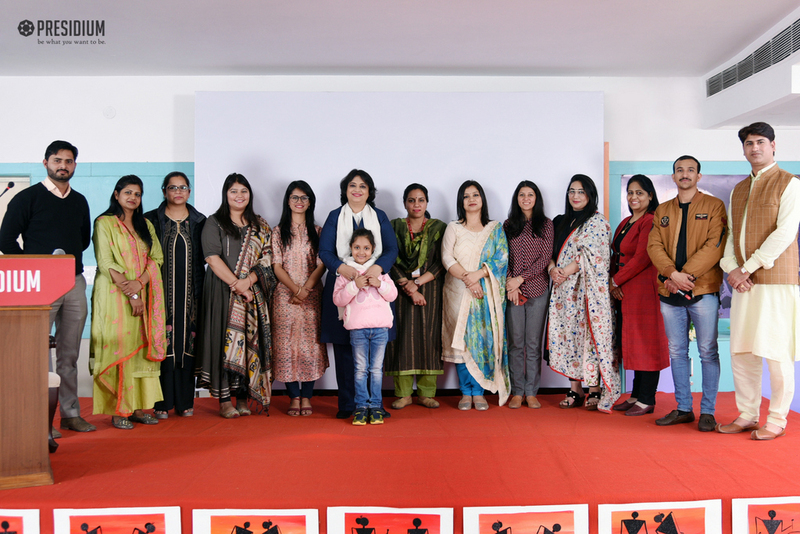 With an aim to inspire teachers, Ma’am conducted a motivational and life altering session for the teachers of Presidium Hisar on the ‘Power of Being’. 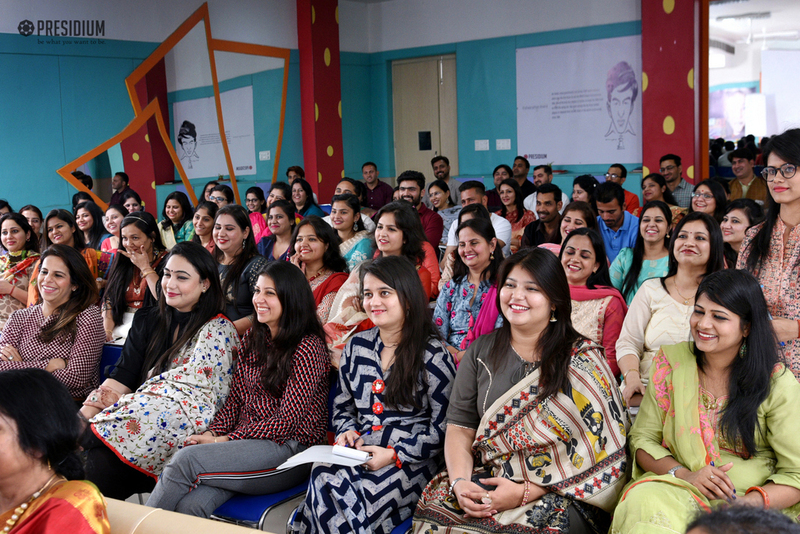 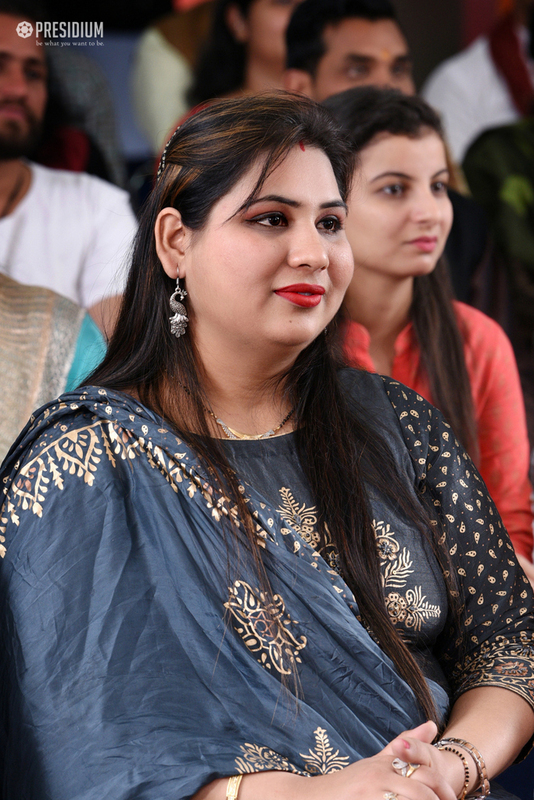 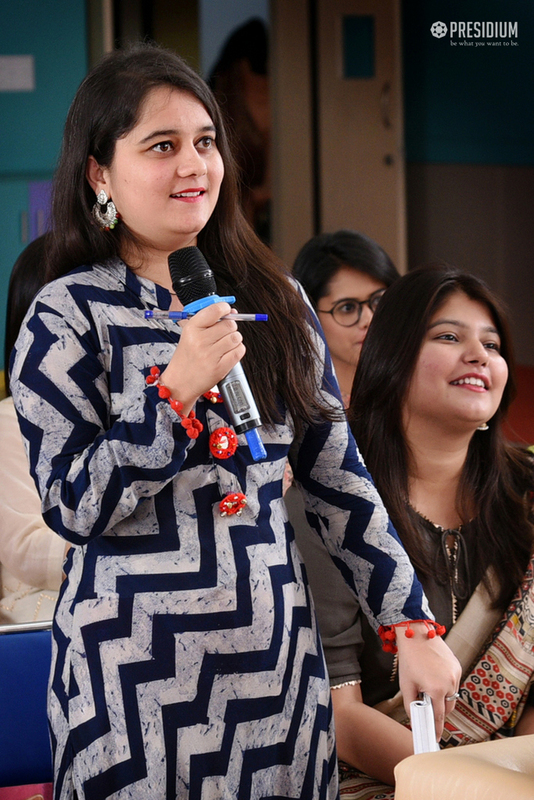 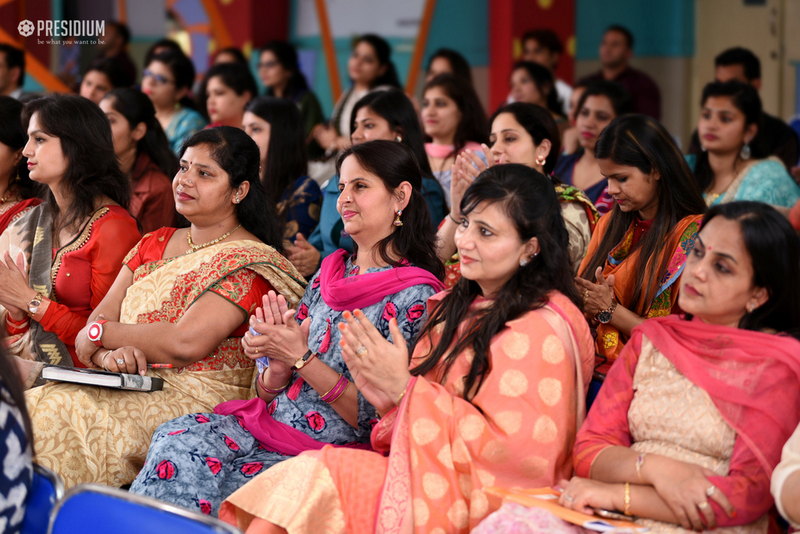 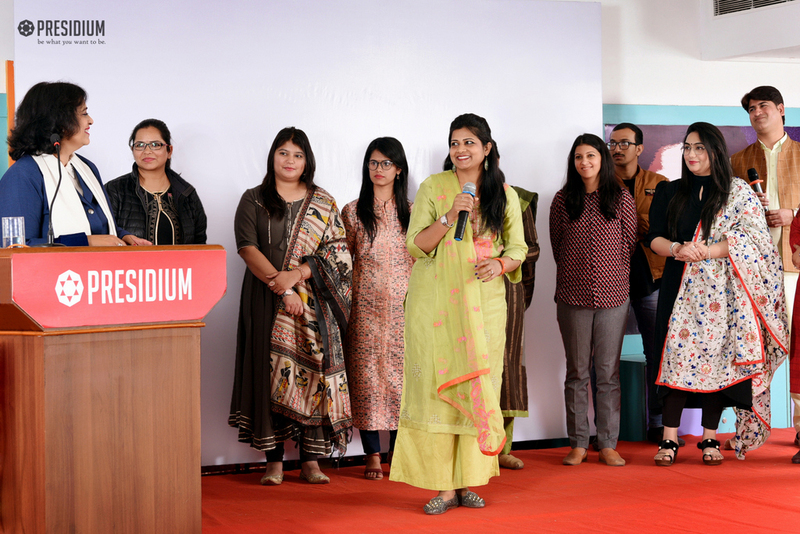 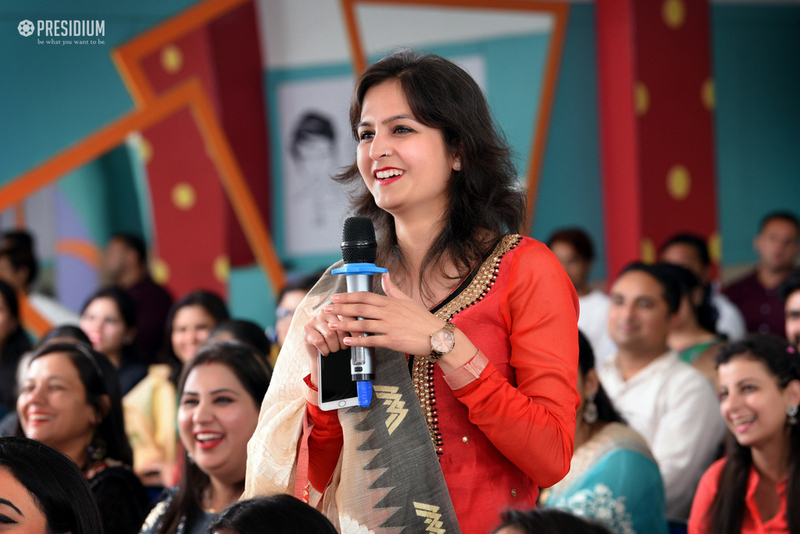 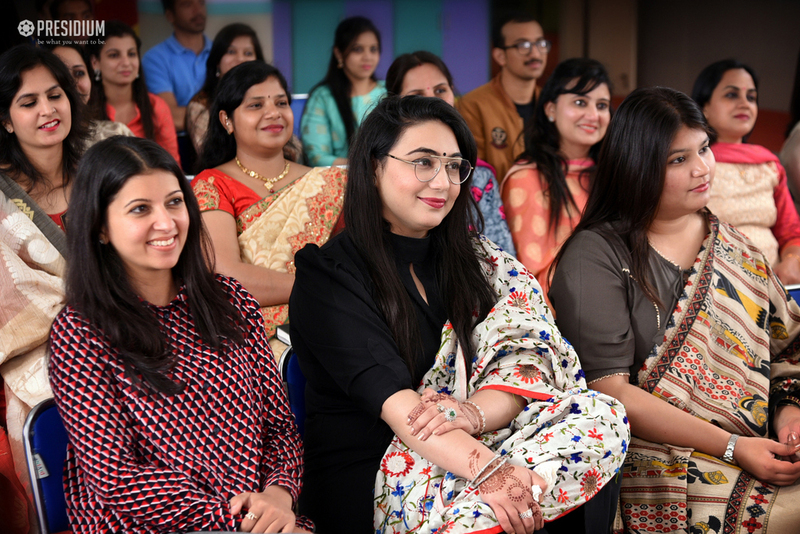 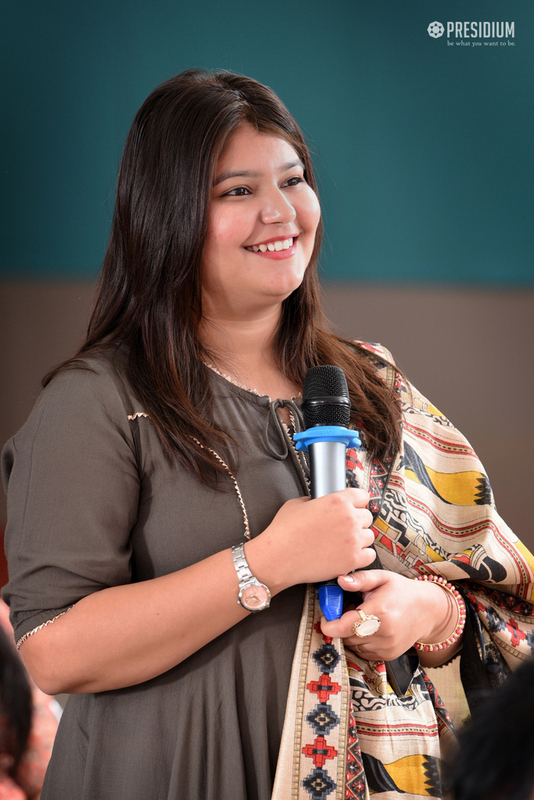 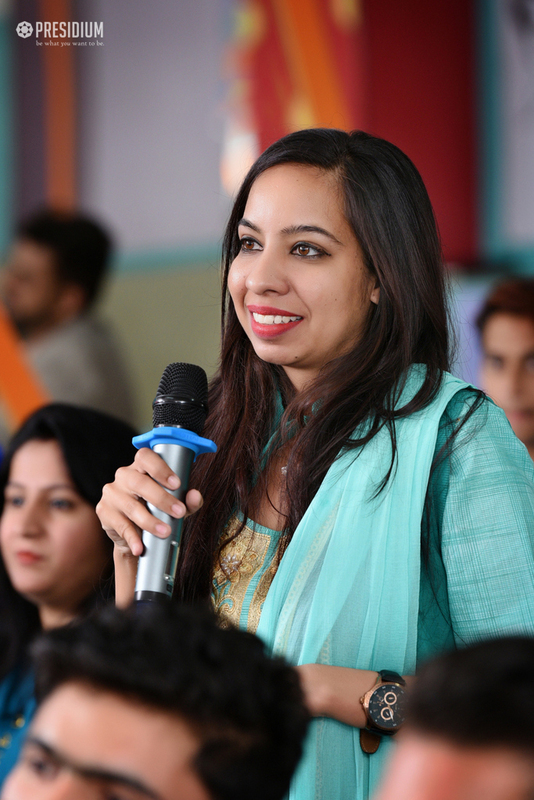 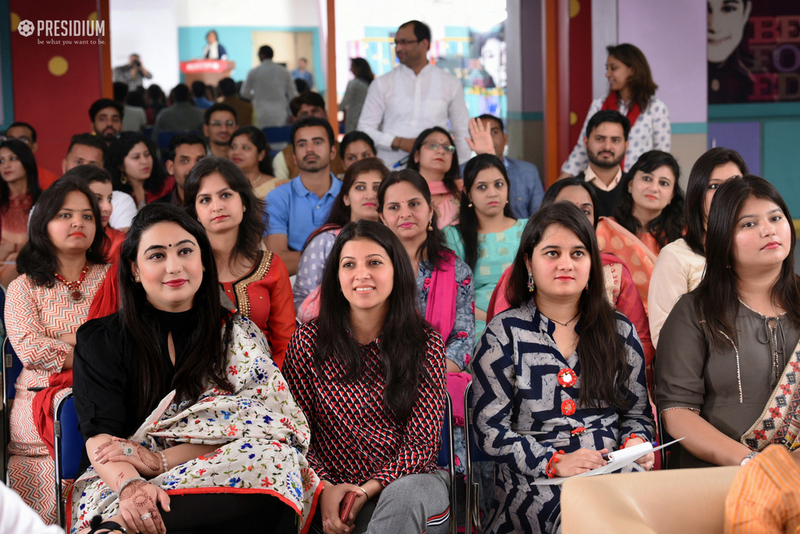 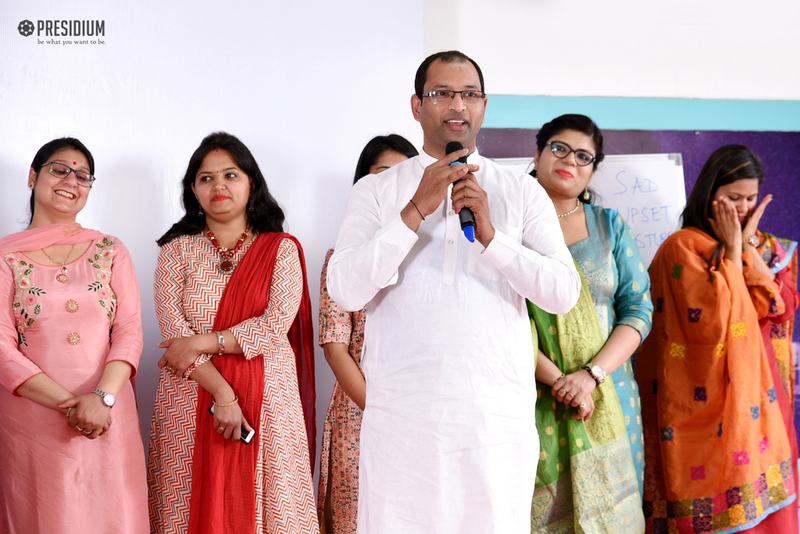 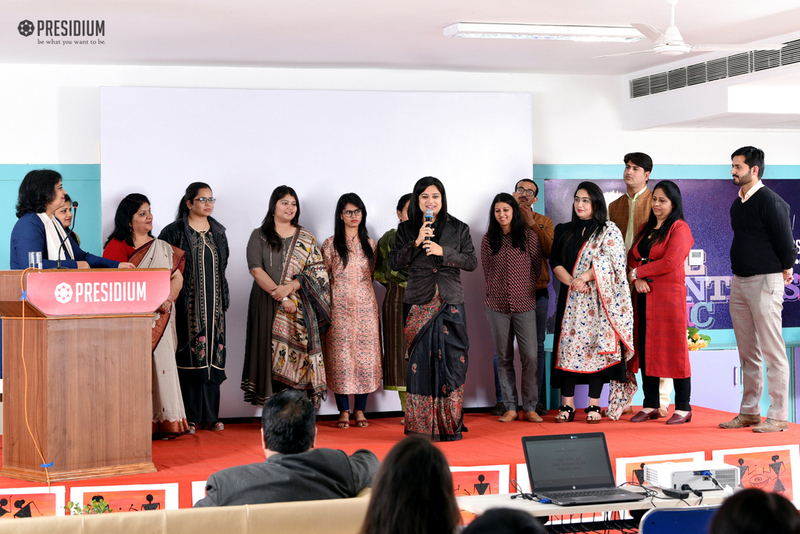 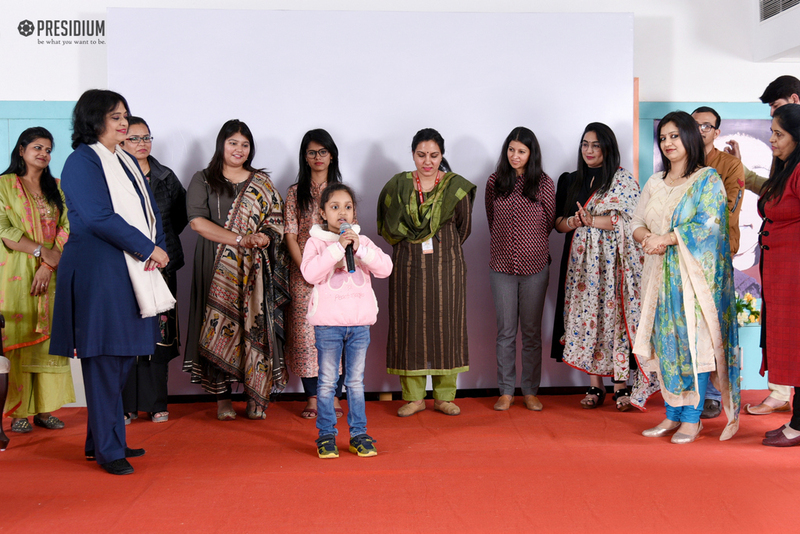 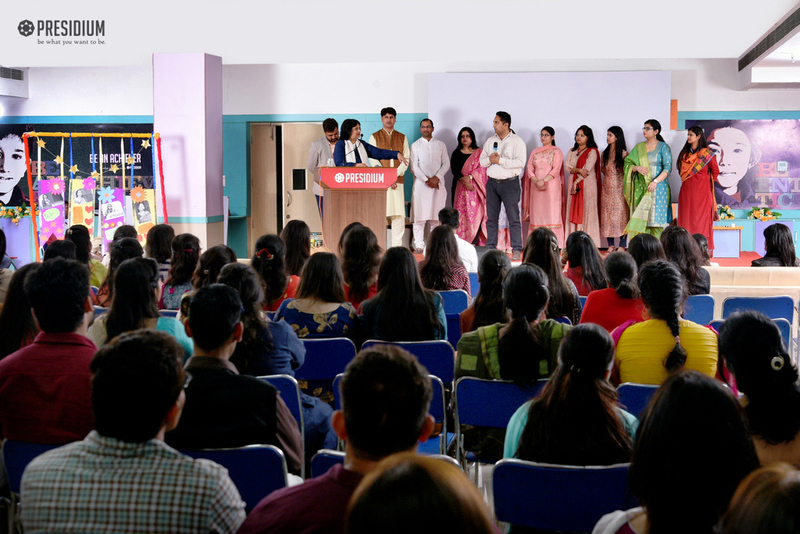 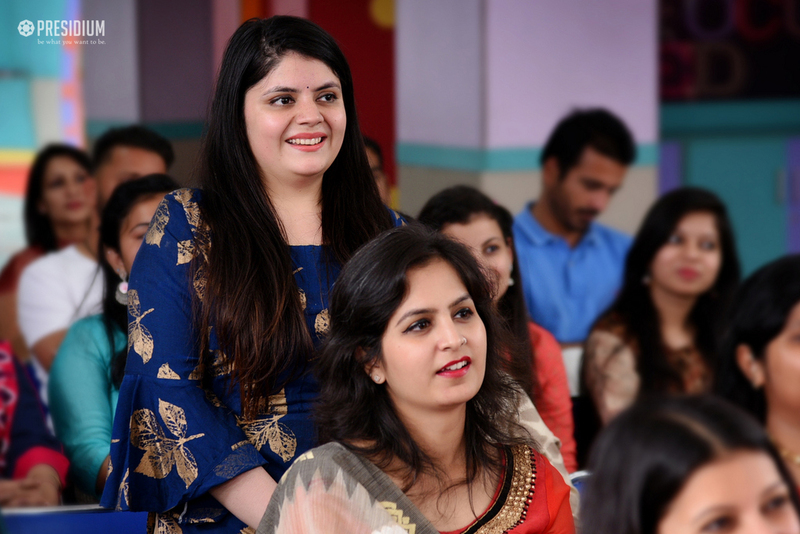 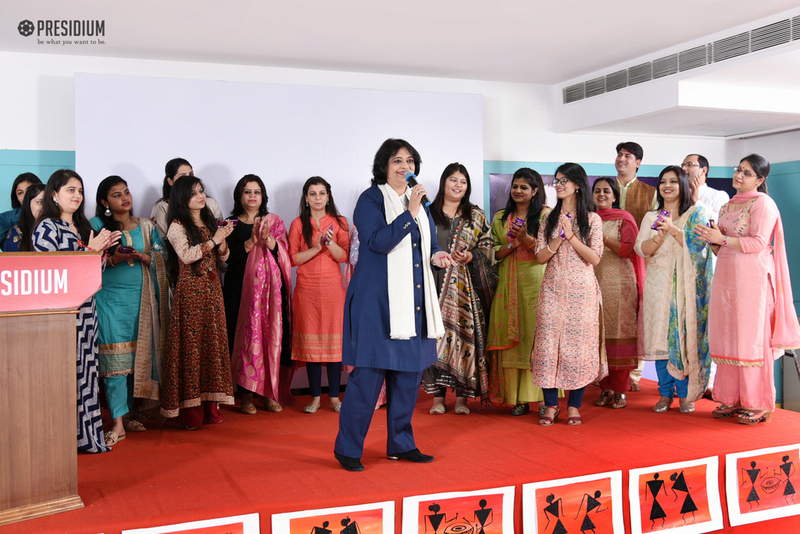 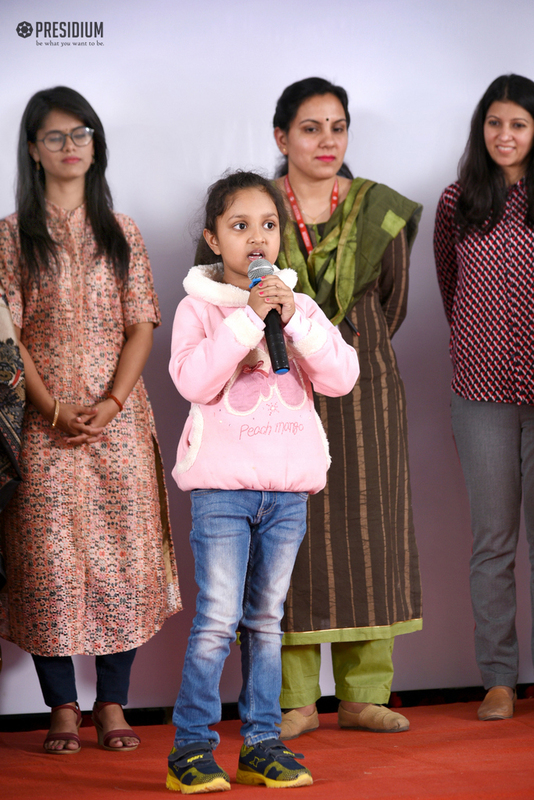 Ma’am shared tips on how to build emotional strength through 10 Mantras and 3 Gurumantras and her inspirational thoughts generated a sense of positivity among the teachers. 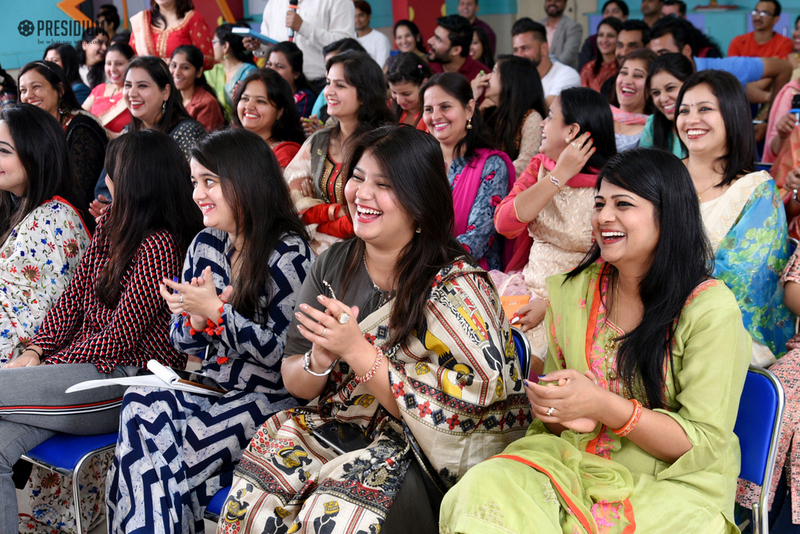 The ‘high on emotions’ seminar made our teachers think about how their feelings and mood affect their lives and impact how they form strong relationships. 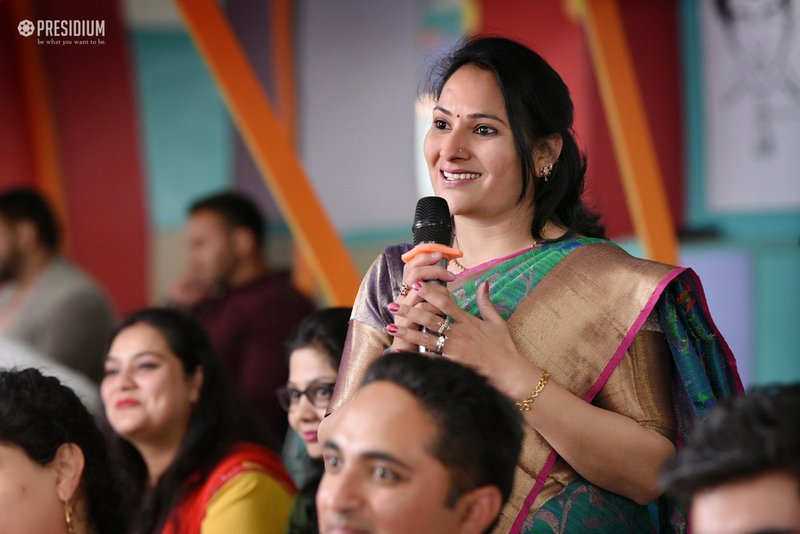 The powerful mantras helped learn the ways to not let people, situations and circumstances affect them. 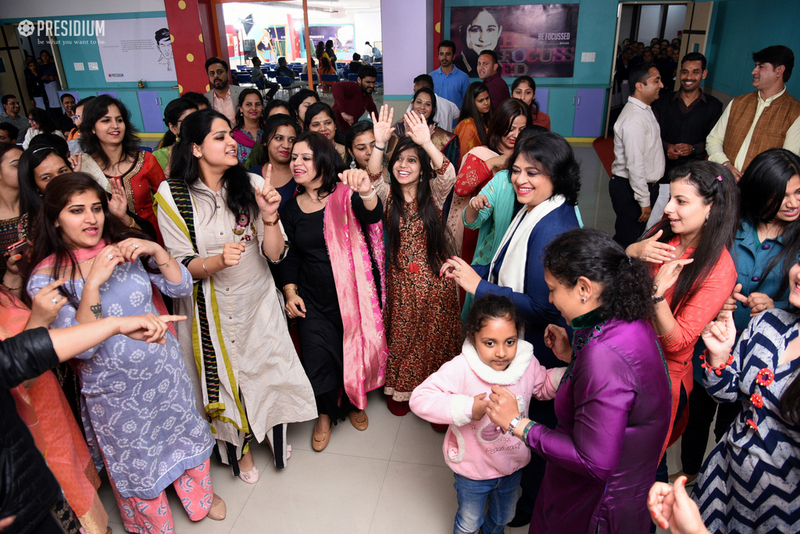 They learned how to throw away the negativity and have an open mind to life. 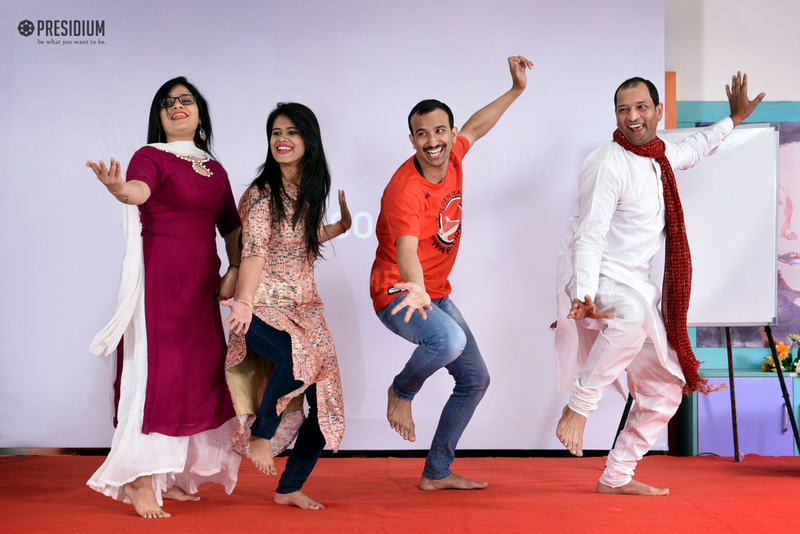 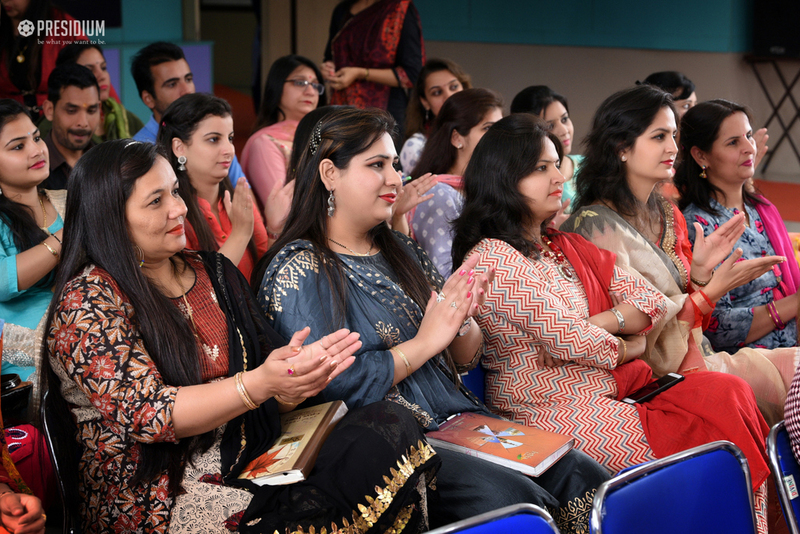 Towards the end of the seminar, the teachers shared how they felt better equipped to handle situations. 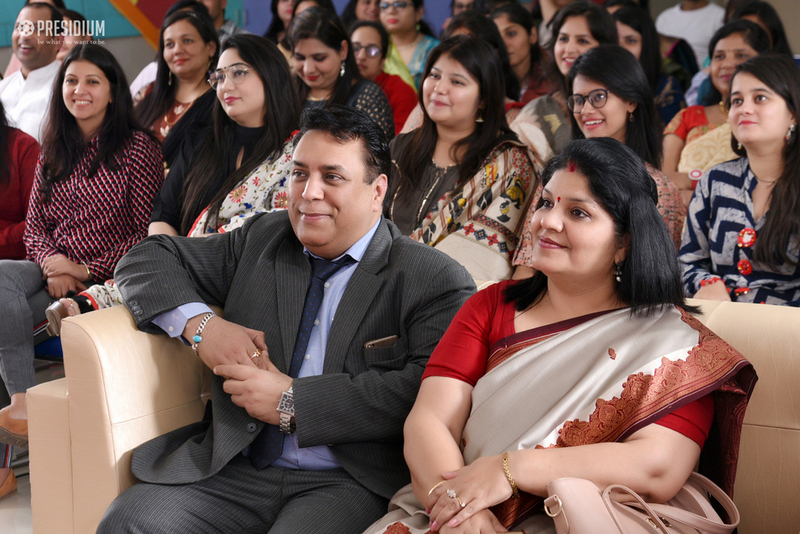 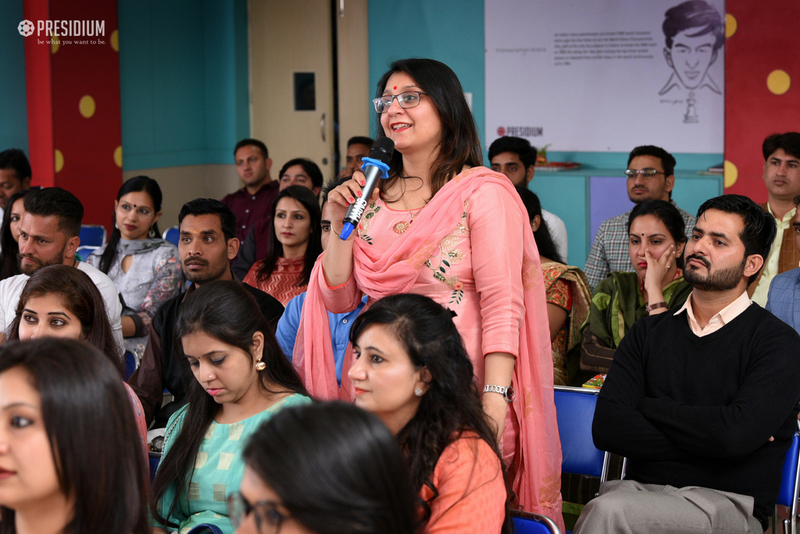 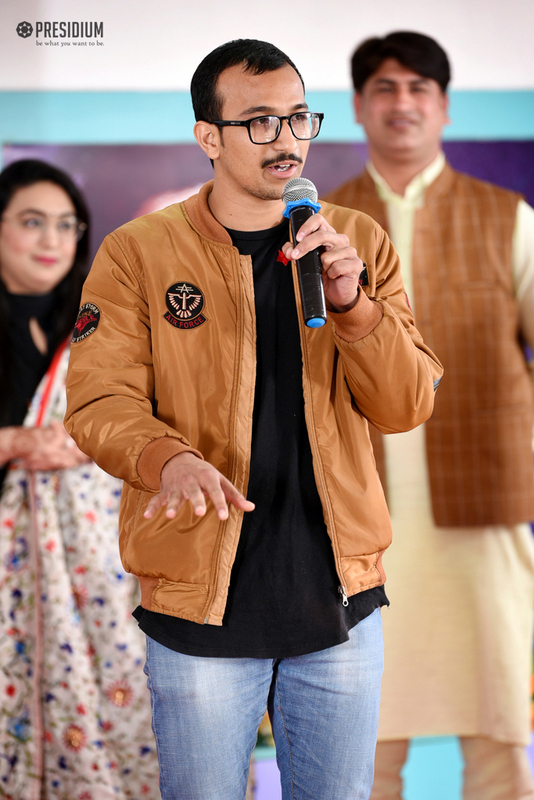 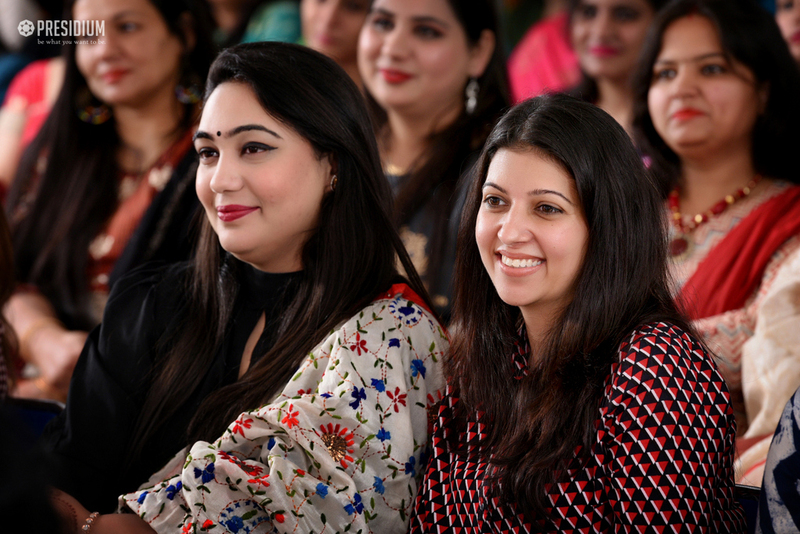 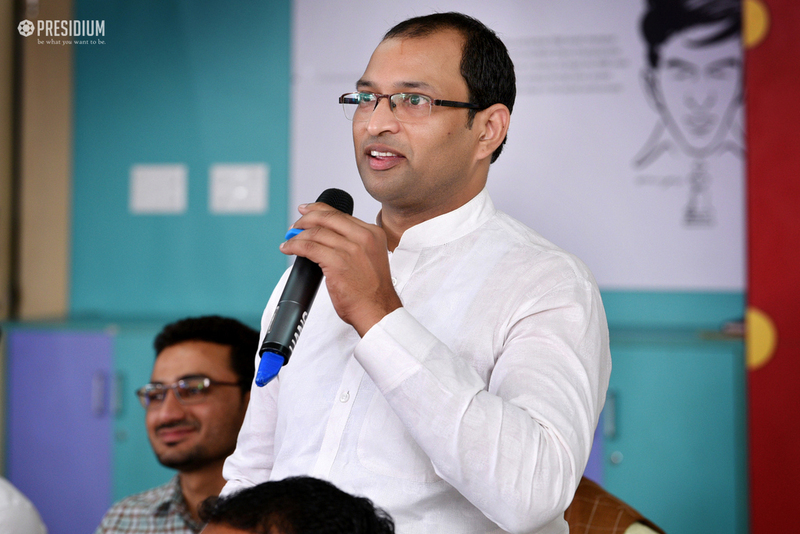 The glow of positivity on the faces of the audience indicated how the seminar helped in motivating teachers and making them powerful beings.